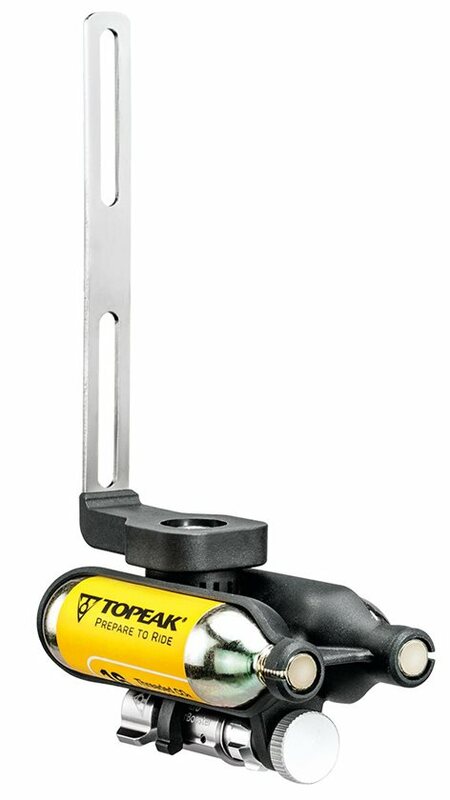 The Topeak Ninja CO2 cage mount provides you with an area to easily store two CO2 cannisters and an Inflator head on your bike behind the water bottle cage. The cage mount attaches to any standard water bottle cage mounts and fits cleanly against your current water bottle cage. The Ninja includes 2 threaded 16g CO2 cartridges and a Micro AirBooster inflator head. Will this mount on the back of a Specialized bottle cage tool mount?